South London. For years it’s been fighting a reputation of being the darker half of the capital; a sparse, fogotten land of buses and sprawling suburbia. Its regeneration, though, is continuing. It’s true that gentrification is quickly spreading from Clapham, to Brixton, to Peckham. Even as far as Lewisham, which — allegedly — is home to the world’s best Nandos. Still, south London has not quite yet managed to fully shake off its lesser image. 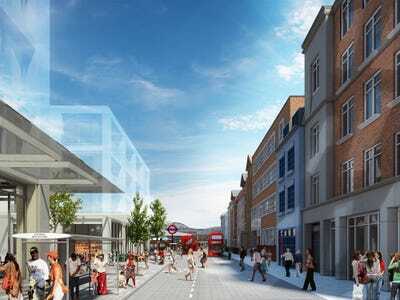 But now exciting new developments and Tube extensions look like they might be the final pieces of the puzzle. Bold plans are afoot across the river’s south, all designed to better connect the region — and give those north of the Thames more reason to venture downward. 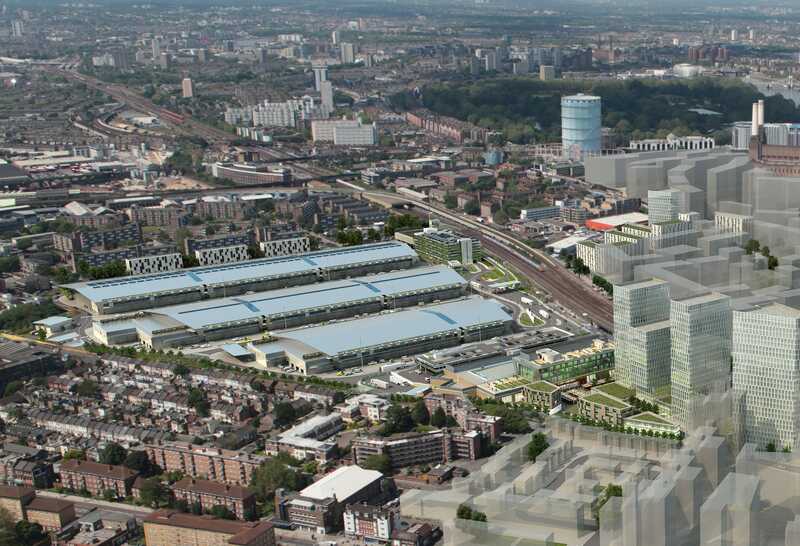 So, other than the celebrated London Bridge Quarter, and the new Battersea Power Station apartments, what’s happening? 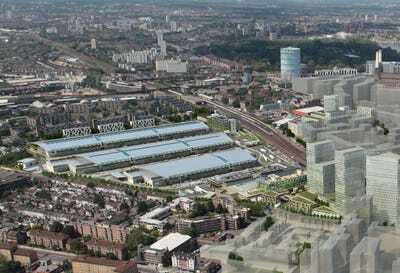 The most recent news is Wandsworth Council saying yes on Wednesday (Nov. 12) evening to Britain’s biggest wholesale market having a major overhaul, which comes as part of the massive Nine Elms on the South Bank programme. New Covent Garden is the subject of a 10-year project that will secure its future, as well as pave the way for 20 acres of land to be transformed. St Modwen Properties is working with the New Covent Garden Authority (NCGA) to bring 3,000 new homes, huge office and retail spaces, and leisure and community facilities to the site. Chief executive of St Modwen and the director of its joint venture with NCGA, says the scheme is “nationally important” and explains work will begin next year, with the first phase due for completion in 2017. Another development is taking place in Vauxhall. Opening for consultation on Monday (Nov 10), Transport for London (TfL) says big changes are planned that will create thousands more jobs, homes, and commercial units under railway arches and in new buildings. Vauxhall is commuter central, serving 30 million rail, tube, and bus passengers a year, notes TfL, and is touted as a vital part of London’s transport network. So now there are multiple proposals to improve Lambeth borough’s busy spot, totally restructuring the road layout, pedestrian walkways, and cycling routes. Another boost for south London, and the Nine Elms scheme, is the government on Tuesday (Nov 12) giving the go-ahead for an ambitious move to extend the Northern line to Nine Elms and Battersea. The Transport Secretary, Patrick McLoughlin, has approved a £1 billion link connecting the two areas with Kennington to the east. London mayor Boris Johnson says he’s “delighted” the infrastructure work is going ahead, and TfL states the stations could be open by 2020. Apparently 24,000 new jobs and thousands of new houses and businesses will spring up as a result. 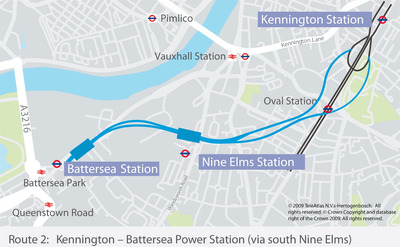 With the extension to Battersea and Nine Elms being agreed, it could be the consultation to bring the Tube to London’s outer borough of Bromley will also go ahead. Consultation began recently to see the line travel through Southwark towards Lewisham, Bromley town centre, and Hayes — at a cost of up to £3 billion. TfL says growth is expected in south east London and at the moment transport in the area is overcrowded and unsustainable. A decision is expected by December.